A Navy program that seeks to increase the range of electronic protection of ships and that ties into the service’s much touted “distributed lethality” concept is set to undergo a key design milestone this summer. Advanced Off-Board Electronic Warfare, or AOEW, completed preliminary design review in September, Joseph Ottaviano, director of electronic warfare systems at Lockheed Martin, told reporters attending the Association of Old Crows Symposium in Washington, D.C. As a result the company is moving on to critical design review of the system. 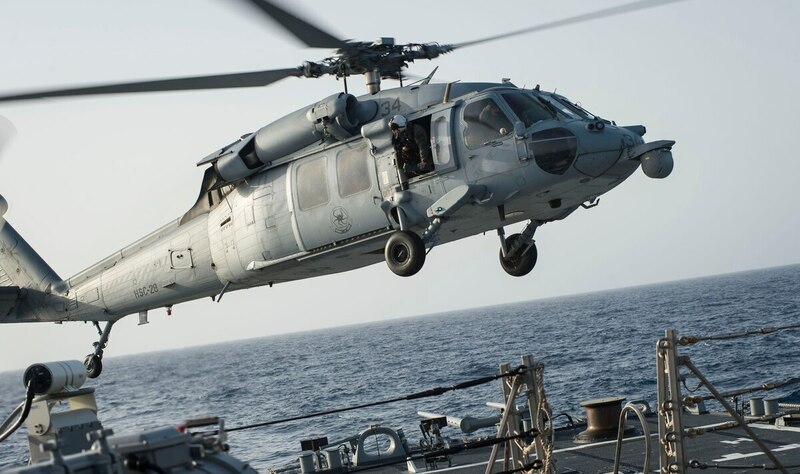 AOEW is a pod outfitted to MH-60 Sierra and Romeo helicopters that allows the Navy to see the enemy before the enemy sees them, Ottaviano told C4ISRNET in a January interview. This capability is an extension to a ship, as often times there are line-of-sight limitations. As helicopters go over the horizon they’ll communicate back to the ship what they see, he said, taking commands from the ship on flying independently. They can also take cues from other airborne systems in the area. AOEW is part of the enterprise protection that the Navy envisioned as long ago as 2005, Ottaviano, said. The system provides the next layer of defense and leverages much of the work Lockheed is doing for the Navy. For example,, the system is part of the Surface Electronic Warfare Improvement Program, or SEWIP, umbrella of capabilities plugging back into the ship. Lockheed is the prime on Block 1 and 2 of SEWIP. 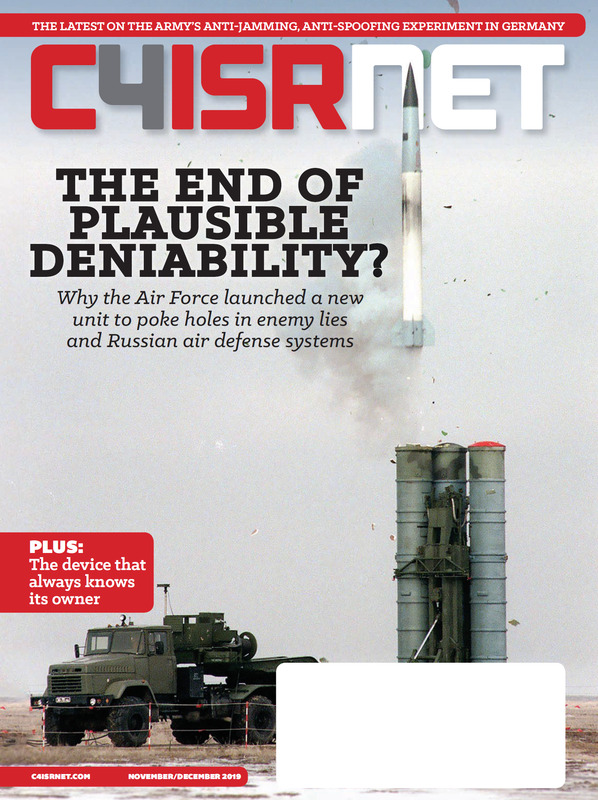 Both SEWIP Block 2 and AOEW are designed to deal with unknown signals in the environment, because it’s impossible to have seen every signal, Ottaviano told C4ISRNET in a separate February interview. In hypothetical terms, Ottaviano said that AOEW’s forward capability could have at least detected something like the remotely operated boat that rammed into a ship off the coast of Yemen, provided it was emitting in the electromagnetic spectrum, which is often detectable given the asset has to connect to its “home” operator. Ottaviano told reporters this week that AOEW has not been delivered to the fleet yet as there was a proof of concept and now they’re going through the build-up for the first unit test. Low-rate initial production will be in the 2019 - 2020 timeframe, he said. In terms of potential future blocks or increments for the program, Ottaviano said that, while there have been multiple options and discussions within the Navy, they’re undefined.